Beautiful Ground floor unit is ready and waiting for you to call it home, or your great weekend get away. 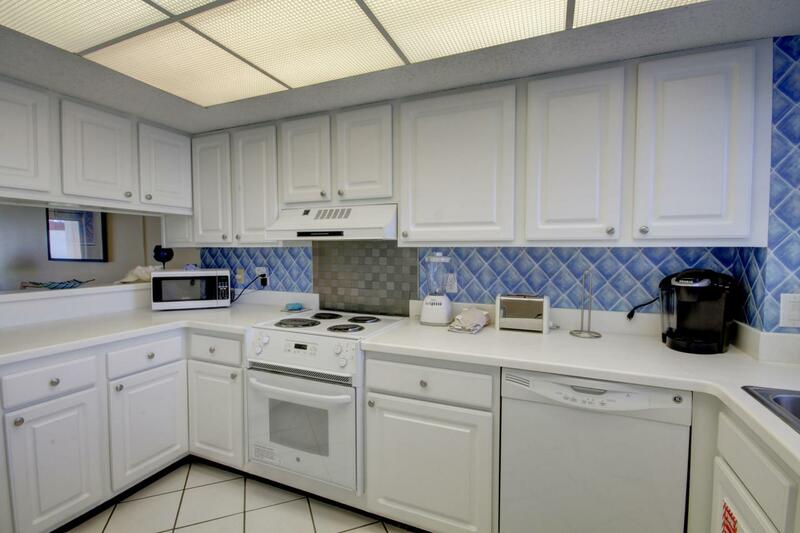 This bright and airy unit is just steps away from the gulf of Mexico and the large gulf pool. You will find a nice large living room and dinning area that seats 6. 2 freshly painted bedrooms and bathrooms. Guest bath has a stand-up shower. Both living room and Master Bedroom have sliding glass doors that lead you to the patio, where you can relax have your morning coffee or watch the sunset in the evening with a nice cold beverage. This unit has had a New A/C unit installed in 2016.You can enjoy the lush green lawn through out the resort, two pools, tennis court, basketball court, hot tub and sauna. you will also find a fitness center for your enjoyment.This units is a must see! !